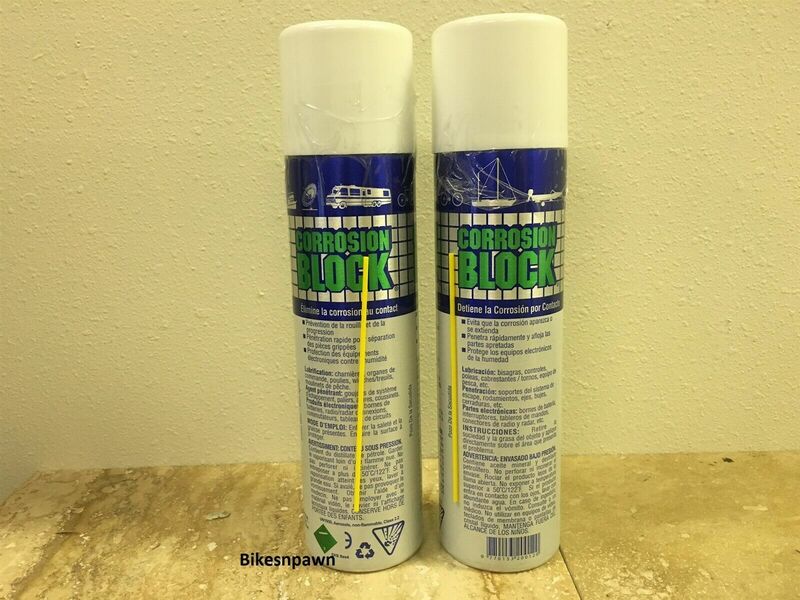 Use Corrosion Block on your ATV/UTV, Snowmobile, Boat, Automobile, Truck, Trailer and anywhere else you might experience corrosion. Corrosion Block is slightly thicker than the ACF-50 and is meant for use in the harsher environments seen by automobiles, boats and recreational equipment. Protects metal and electronics during play and storage. A clean, clear ultra-thin fluid which leaves a non-greasy atmospheric barrier to protect all metal surfaces. Leaves no gummy residue because it does not contain wax, resin, tar, asphalt, silicone or teflon. Can be sprayed, brushed or wiped on. Hydrophobic film provides corrosion protection all season. Protects metal components down to -70º. Keeps ice and mud from sticking. Combined with it's excellent penetrating and strong dielectric properties (40kv), have brought electronics "back from the dead". Removes moisture from the corrosion by-product and isolates it from contacting the metal surface, restoring continuity to the electrical circuits. Can be used in many different electrical and electronic applications without fear of damaging the conformal coatings used. Does not harm plastic or painted surfaces. Improves reliability, reduces repair and labor cost.